602nd AC & W Sq. 619th TACONRON 7424th SUPPRON 615th AC & W Sq. The Birkenfelder Reunion Association is composed of former members of the U. S. Air Force who were assigned to Birkenfeld Air Base, Germany between 1948 and 1969. 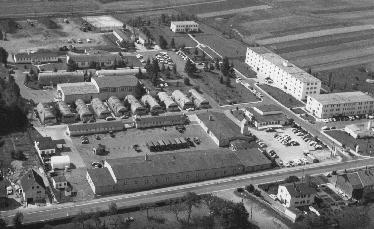 Former United States Air Force members of any tenant organization located at Birkenfeld Air Base, any USAF member assigned on TDY status for more than 30 days, certain members of the 602nd AC&W Sq. stationed at Giebelstadt, Germany based on their longstanding membership in the 602nd Reunion Association, and certain members of the 615th stationed at Neubrucke, Germany based on their long standing membership in the 602nd Reunion Association, certain German Civilians (Honorary Members) the spouse, surviving spouse or ex-spouse of any of the above are eligible for membership.